Running a business is not something that everyone will naturally be able to do. You may have the desire, the capital, and the community behind you to start a business, but that doesn’t necessarily mean you will be successful. This is where a franchise comes in. 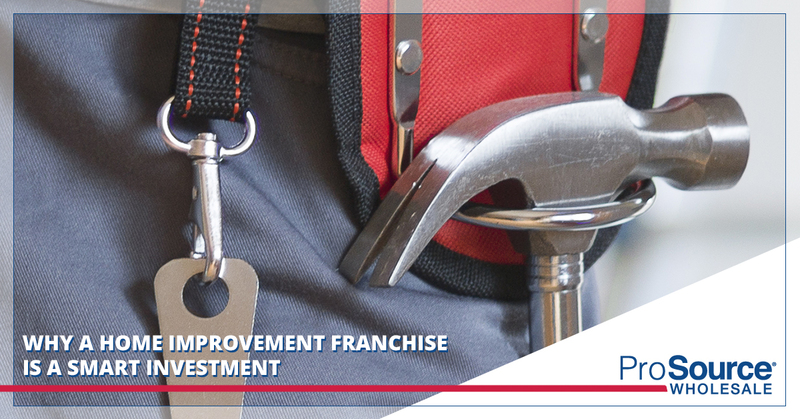 Franchises, like our home improvement franchise, offer a structure that helps you to start, run, and grow a business. By offering a comprehensive guide to operations, training, marketing, accounting, and more, we can provide you with the framework you need to run a business in an efficient way. Here are some advantages you can anticipate when investing in a franchise. Advertising: This element of the budget is one that is often difficult for small business owners to pay for and manage. When you work with our home improvement franchise, you have access to our group advertising resources. Guidance: While our franchise owners independently own their businesses, they benefit from the guidance of successful business owners. We offer extensive training and a network of franchisees you can rely on to provide excellent advice. A Superior Customer Base: We are happy that our home improvement franchise is about to meet a unique niche in the market by selling exclusively to trade pros. This type of market is significantly more difficult for a small business owner to break into. A Trusted Brand: Many small businesses fail to create the brand awareness necessary to garner trust in their would-be customer base. One advantage of our home improvement franchise is brand awareness. We are known by trade pros as a brand with trusted products. Lower Risk: Starting your own business from scratch is a high-risk endeavor that usually ends in failure. A tried and true franchise model comes at a lower risk because you have our proven method for growth and success on your side. Better Leadership Skills: With a well-established business model, it’s an easier environment to enhance your leadership skills. You’re not just treading water, so you have the time to grow and develop as a leader in a way you would not as a small business owner. Not only are franchises simpler to start up because of they benefit from collaboration, franchises are also the most successful businesses in the country. Franchises produce more than nine percent of private output in the U.S. In addition, research shows that franchise businesses are significantly more likely to succeed that independent small businesses. Not only do franchises account for a significant portion of the economy, there is also statistically a much greater chance for success. When people start their own business, their primary goal is freedom. They talk about the flexibility of being their own boss first, before the factors of money and status. This is where franchises are the best option: you don’t have to choose one. You can have all three. By owning a home improvement franchise, you can be your own boss while enjoying the money and status of being part of a reputable and successful company. At ProSource, we are proud to offer a franchising opportunity that allows you to be your own boss while having the support of a large and successful company. If you’re interested in our franchising opportunity, we would love to get in touch with you. Reach out today to get started.